ON DISPLAY THIS WEEKEND AT THE massive IPMS Scale ModelWorld at Telford, UK, is this latest 1:72 scale jet project from Airfix. The Handley Page Victor B2 looks like another winner for Airfix, even if the kit is not due on sale until Q4 2016. However, you can preorder the big beast now, which will give Airfix a good idea of how many to mould for the first release. In the words of Airfix, "...a totally new 1/72nd scale version of the Victor B.2 is BIG news and will be welcomed by modellers all over the world. The new model will obviously be quite large, as the Victor had a wingspan of some 120 feet, an increase of 3 feet from the B.1 with the insertion of an extra section at the wing root. 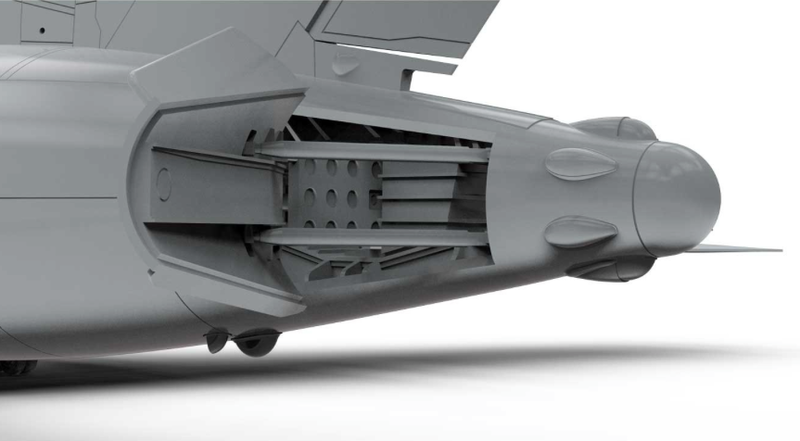 "It will also benefit from the impressive development and production processes now in place at Airfix, with the associated detail levels such as the inclusion of the Blue Steel missile in the first release." "...we intend to bring you much more detail over the coming weeks, but for now, the BIG Telford announcement from Airfix is the all new 1/72nd scale Handley Page Victor B.2. For anyone able to visit the Airfix stand at Telford, we will have a prototype Victor model on display and will be happy to show it to you." Plenty of flight deck detail (below) is planned for the Victor B2. 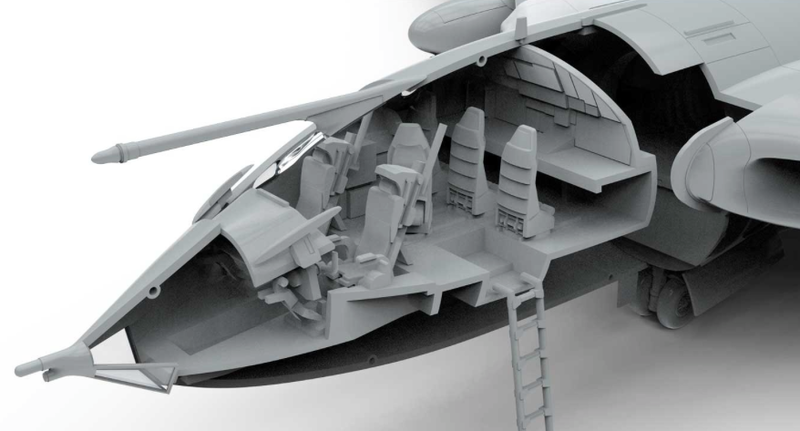 We'll add our usual SMN plea to the manufacturer where interiors are concerned - please add a transparent fuselage half, so we can actually see what's inside! Fold-out tail brakes (below) will feature in the new model. 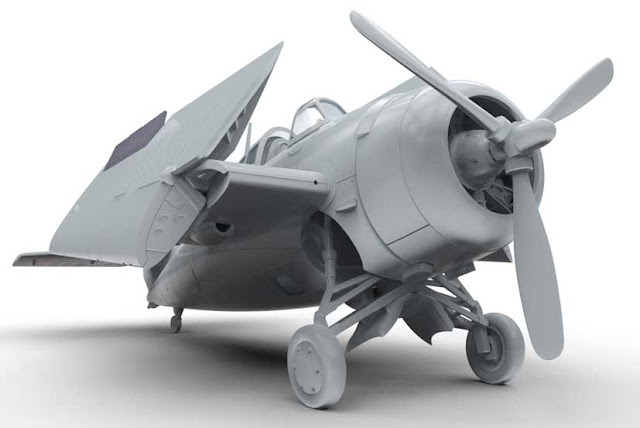 Also due from Airfix (below) is the Junkers Ju-87 B1 Stuka, this one in 1:48 scale. And in 1:72 scale, a Grumman Martlet, the Royal Navy version of the Grumman F-4F Wildcat. Note the folding wings, a nice extra at this comparatively small scale. The Martlet should be a good looker when assembled and painted.